Today I Learned is a blog series from Visit KC and the Kansas City Public Library that shines a light on the history of Kansas City, its culture and the trailblazers who helped shape the City of Fountains. Just in time for March basketball, we looked at the history of basketball in our city. Basketball in Kansas City is more than just another sport—it’s a regional pastime. Take, for example, James Naismith, innovator and inventor of basketball in 1891 and University of Kansas’s first coach. The Jayhawks played their first actual game in KC in 1899 against a YMCA team called the Tigers (no relation to Mizzou) at 8th and Wyandotte. The team featured Pete Allen (younger brother of Forrest “Phog” Allen) and a one Jesse James Jr., son of the infamous outlaw himself, who was said to have played a “rough and at times very ungentlemanly game.” Regardless of its roots (and James Jr.’s aggressive play), basketball has thrived in KC for more than 100 years. The sport took off in the area soon after its creation, thanks in part to the arrival of the NAIA’s National College Basketball Tournament. 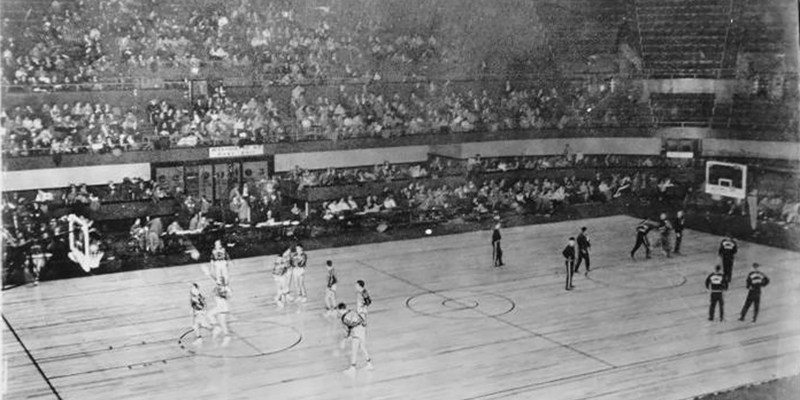 Kicked off in 1937, the competition is college basketball’s longest running tournament. KC saw its fair share of history, as well. In 1957, Tennessee State became the first historically black college to win a national college basketball championship. Twenty-three years later, the NAIA became the first collegiate association to hold championships for women’s athletics. 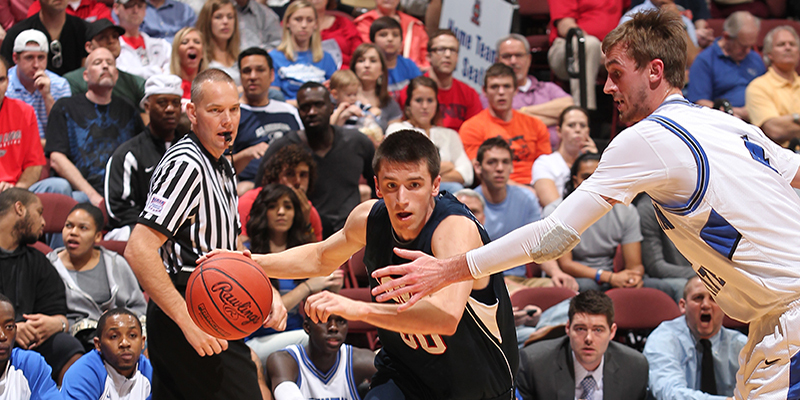 The NAIA is far from the only athletic association with a tenured history in town. 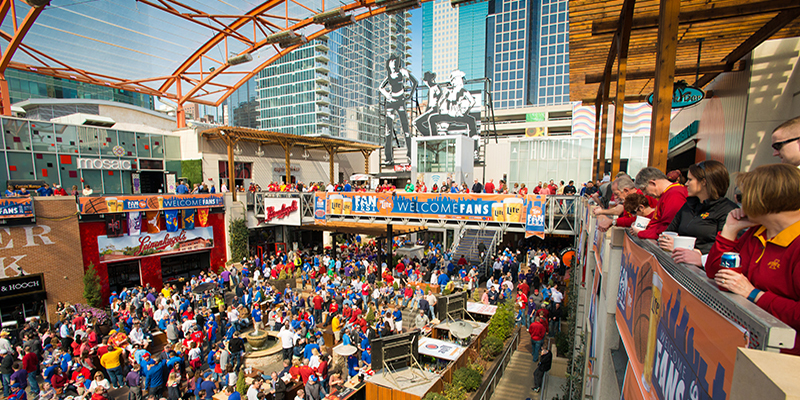 KC has hosted 10 NCAA Division I Men’s Basketball Final Four Tournaments—more than any other city in history. Nine have been held at Municipal Auditorium (1940-42, 1954-57, 61, 64) and one at Kemper Arena (1988, featuring “Danny and the Miracles”). But, most notably, the final NCAA championship game at Municipal Auditorium in 1964 served as the launchpad for legendary coach John Wooden and his UCLA Bruins, as they won the first of their eventual 10 titles. Professional ball even had its time in town. The Kansas City Kings, the hometown NBA franchise, reigned 1972-1985. Initially, the team split games between Omaha and KC (playing in Municipal Auditorium) and were called the Kansas City-Omaha Kings, but remained entirely in KC in 1975 when Kemper Arena opened. Despite a few good years, consistent attendance never really materialized. Less than a decade later, the ownership announced the team would move to Sacramento for the ‘85-‘86 season. Through all the ups and downs, Kansas City remains a more fervent basketball town than ever, with big-time events like the Phillips 66 Big 12 Men’s Basketball Championship, the MIAA Men’s and Women’s Basketball Championships, NAIA Division I Men’s Basketball National Championship and a NCAA Division I Men’s Basketball Championship Midwest Regional taking place in KC in 2017. Today I Learned is a blog series that shines a light on the history of Kansas City, its culture and the trailblazers who helped shape the city. We’ll present a different piece of history each month to give a fuller picture of KC’s roots and highlight little-known stories worth sharing.